Cambridge is world famous for its top five university. One of the oldest in the world, the University of Cambridge exudes history and tradition and dominates the town with its 31 colleges. But you don’t have to be contemplating a return to academia to enjoy this charming British town. From the international foodie scene to punting along the picturesque River Cam, Cambridge warrants more than just a day trip from London. There’s a lot going on in and you can definitely fill a 2-night stay with these things to do in Cambridge. The Eagle is perhaps one of the more touristy pubs of Cambridge, but with good reason. Well, two good reasons. It’s one of the oldest pubs of Cambridge and was opened in 1667. But it’s the more modern history that is really of interest. 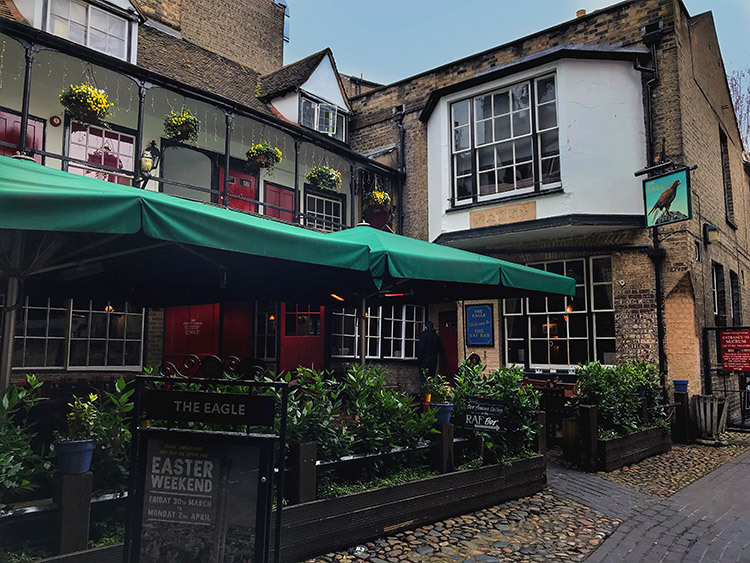 Also one of the largest pubs in Cambridge, The Eagle was a popular hangout for young British and American airmen during WWII. Tossing back pint after pint, the airmen would build human pyramids and graffiti the walls and ceiling of what is now known as the RAF Bar. Whatever they had – pens, crayons and lipstick – were used to leave their mark. Peer up to the ceiling to look for their names of planes, squadron numbers and drawings of naked ladies. While the RAF Bar is a living museum dedicated to the airmen of WWII worth seeing, The Eagle has another claim to fame. Not long after the war, the University of Cambridge’s Cavendish Laboratory was still located nearby on Free School Lane and The Eagle was a popular lunch spot for the staff working there. It was lunchtime on February 28, 1953 when Francis Crick rushed in and announced to a pub full of punters that he and James Watson had “discovered the secret of life”. What he was referring to was Crick and Watson’s proposed structure of DNA. There’s a blue plaque at the entrance to the historic pub commemorating the discovery of DNA. And more recently, Rosalind Frandkin’s name was added to the plaque as there’s debate that it was her famous Photo 51 x-ray image of DNA that actually led to Crick and Watson’s discovery of the DNA double helix. If you feel like raising a glass to the secret of life, order a pint of the cask DNA Ale which Greene King Ale House brews exclusively for The Eagle. The Eagle is located at 8 Benet Street and is open Sunday – Wednesday from 11am – 11pm and Thursday – Saturday from 11am – 12am. You probably don’t think England, let alone Cambridge, and good ‘ol American barbecue belong in the same sentence. But Cambridge is home to one of the Telegraph’s 10 best barbecue restaurants in Britain. With any sort of American style barbecue joint missing from Bordeaux’s international foodie scene, a platter of sticky baby back pork ribs and chicken wings was definitely calling our name. Unlike other restaurants promising American fare that just leave us disappointed, Smokeworks rises to the occasion with their in house smoked, pulled and brined meats and homemade barbecue sauces. We even dined at Smokeworks with some Texans recently (and if you’ve ever met a Texan, you know they argue no one does BBQ better) and they were applauding our recommendation. Smokeworks is famous for their powerhouse plates, which are definitely meant for sharing. Come hungry because The Works includes a full rack of baby back ribs, pulled pork, chicken wings, house spiced sausage, onion rings, cheesy fries and corn on the cob. If you’re not up to the challenge – Tim and I had trouble finishing the platter – then the glazed pork belly bun is also delicious. 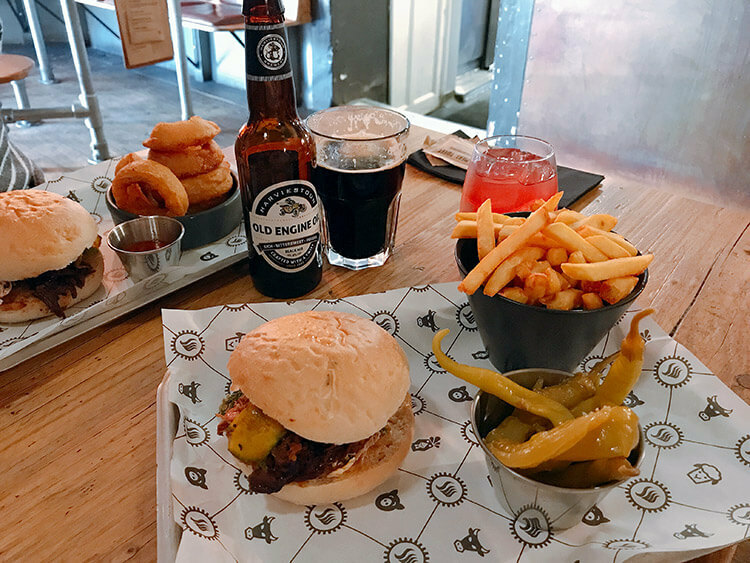 Smokeworks has two Cambridge Locations, with Free School Lane as the original. Neither location takes reservations. We’ve eaten at both and recommend either. King’s College is one of the oldest of the 31 colleges that make up the University of Cambridge and the King’s College Chapel is one of the most iconic buildings in Cambridge. 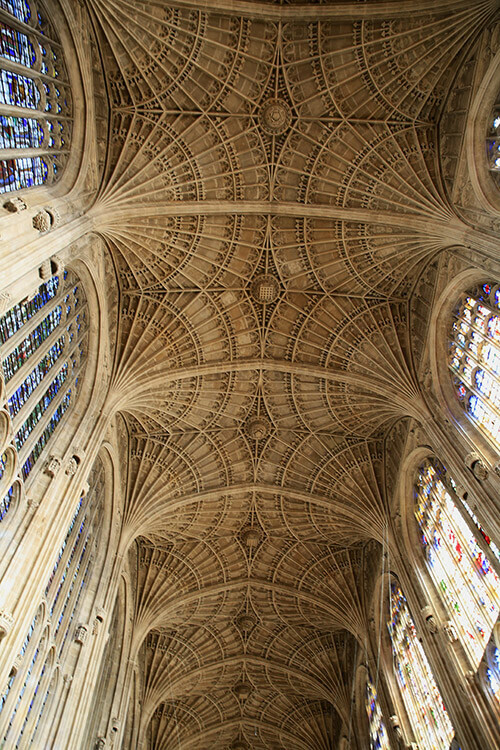 If you visit only one building in Cambridge, it must be King’s College Chapel to admire the breathtaking fan vault ceiling. A visit to the chapel is like traveling through time. It was started by Henry VI, who laid the foundation stone himself on the Feast of Saint James the Apostle on July 25, 1446. Henry VI would never see the completion of the chapel as he was murdered in the Tower of London in 1471. The chapel wasn’t finished until several wars and successors nearly 70 year later in 1515. Later still, the stained glass windows weren’t completed until 1531. The grand designs thought up by Henry VI were incredibly expensive for the time and his ambitions were that no other chapel would be as magnificent in either Cambridge or Oxford. His instructions originally were to build a “Great Court,” and though the construction tried to limp along through the War of the Roses, it was eventually halted. Henry VII visited in 1506 and paid for the work to resume in 1508, even leaving money so that the chapel could be finished after his death. Master mason John Wastell was hired to construct the great fan vault ceiling. He did so between 1512 and 1515, and the masterpiece remains the world’s largest fan vault ceiling to this day. It was Henry VIII that funded the stained glass windows and all but one modern window were completed between 1515 and 1531. The stained glass windows tell the stories of the Bible, with the upper set of windows telling the stories of the Old Testament and the lower set of windows telling the story of the New Testament. The chapel holds a few historical secrets from its time being built over more than a century. There’s, of course, Tudor elements like the roses and portcullises and theses are the most obvious since they’re everywhere. The less noticeable fleur de lys are a reminder that Edward III led England in to the Hundred Years War with France and that for a period from his reign onward, the monarch of England was also the monarch of France. Then there’s the initials of Henry VIII and Anne Boleyn, his queen who he famously had executed, carved in to the dark oak screen that divides the ante-chapel and choir areas. King’s College Chapel is an actively used chapel still today, though it served as a training ground for Oliver Cromwell’s troops during the Civil War. There’s still some graffiti visible left by troops, but the chapel was mostly spared from major damage during the wars. The stained glass windows were even removed during WWII to ensure their safety. King’s College Chapel is open to visitors Monday – Friday from 9:30am – 3:30pm, Saturday from 9:30am – 3:15pm and limited between services on Sunday from 1:15pm – 2:30pm. Tickets are £9 and can be purchased from the King’s College Visitor Centre or online in advance. Always check the chapel’s website for closures before visiting. 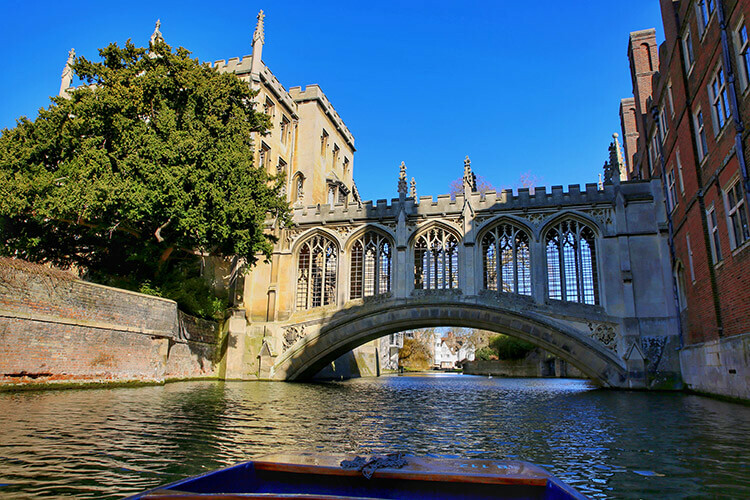 Cambridge is definitely one of England’s most beautiful and historic cities with its world famous colleges providing jaw-dropping architecture everywhere you turn. But like us, the students of the University of Cambridge come to fall in love with the charming college town during their studies. Many stay, opening eclectic shops or galleries and contribute to Cambridge’s ever-changing international foodie scene. As we learned on the “hottest lunch date in town,” or otherwise known at Cambridge Food Tour, Cambridge can be a really challenging place to open up a business. The whole of Cambridge is owned by the colleges and rent prices can – and often do – go up overnight. What was there yesterday can be gone tomorrow simply because the business owners can’t afford to stay. It’s why Cambridge’s foodie scene is a constantly evolving one. But the team at Cambridge Food Tour are knowledgeable about this college town and clearly love food like no one else we’ve ever met. Our guide, Camilla, told us the tale of how she’d gone to San Sebastian just to eat and impressively managed to eat at 48 different restaurants in just four days. 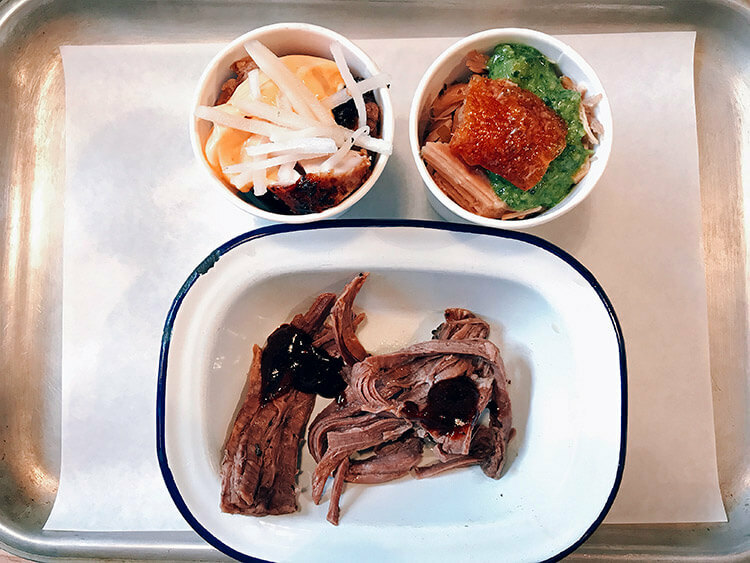 With someone that loves food that much leading the way, we knew we’d be in good hands to discover the best independently run foodie hot spots in Cambridge. You’ll have to take the tour yourself to discover all 12 tastings. And Camilla told us that each tour is unique anyway as they have over 50 different restaurants, bakeries and street food vendors they switch up on the tours all the time. But that won’t stop us from telling you about a few of our favorite stops. You can’t come to Cambridge and not eat a Chelsea Bun. So it’s not surprising that a Cambridge Food Tour starts our with a taste of these ooey-gooey buns. Fitzbilles claim to fame is their Chelsea Bun, and the recipe is a closely guarded secret. And the cafe has managed to be a fixture of Cambridge since 1920, though not without some bumps along the way. Fitzbillies nearly fell victim to the suddenly increased rent prices and was temporarily forced to shut its doors in 2012. Thanks to University of Cambridge alum and famous British comedian Stephen Fry, who ate a Chelsea Bun every morning before heading off to his studies at Queen’s College, Fitzbillies was spared. 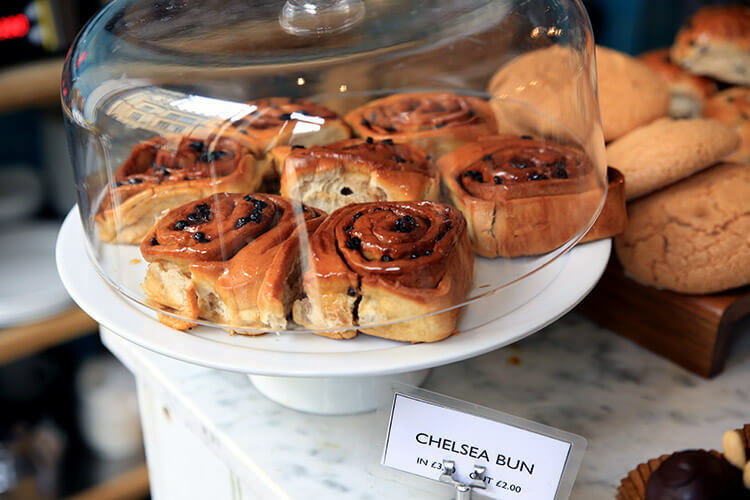 The comedian famously sent a horrified tweet, spurring the current owner Allison Wright to buy up Fitzbillies and prevent the demise of the Chelsea Bun, much to the relief of Chelsea Bun aficionados everywhere. So what on earth is this Chelsea Bun? We’ll never know exactly what’s in Fitzbillies secret Chelsea Bun recipe, but the best way we can think to describe it is a cinnamon roll on crack. These buns have spices and citrus in the dough recipe, along with raisins and are baked in huge sheets fresh daily. While they’re still hot, they’re glazed with hot water and sugar. The temperature causes the hot water to evaporate, leaving behind the sticky sugar glaze. Only a certain number are made daily, and Fitzbillies almost always sells out by midday. On the rare occasion that they don’t sell out, the remaining buns are given out to the homeless. You’ll never not get a freshly made that day Chelsea Bun at Fitzbilles. Living in Italy basically spoiled us for life when it comes to pizza, but Cambridge has an answer to that thanks to Francesco, a Sicilian and owner of Aromi. This isn’t Francesco’s first go at being a restaurant owner; his family has successfully been running Caffe’ Cipriani in Acireale, Sicily since 1957. He decided to bring a taste of Sicily to Cambridge and opened Aromi in 2013. The little shop quickly became famous for their 48-hour fermented sourdough pizza with Sicilian toppings, which passersby delightfully stop to watch being stretched, baked in the stone oven, cut and made by the pizzaioli in the long glass windows. The toppings change seasonally with what’s fresh, but you can be assured to find Italian-cured meats and Sicilian cheeses to top your sourdough pizza with. But no matter which toppings you choose, a pizza at Aromi will never cost more than £5 – truly an incredible deal. Best pizza in Cambridge now found and a Chelsea Bun devoured, Camilla led us on to the the Cambridge Market Square. We’d explored the 7-days-a-week Market Square previously, but all the street food vendors to choose from can be a bit overwhelming. Now we’ll always look for Arepa’s Station. This street food stand on the Market Square serves up, as the name implies, Venezuelan arepas. Naturally gluten free, an arepa is a type of bread made from white cornmeal, water and salt. The dough is formed in to a patty and then grilled. It’s then split open and stuffed with slow roasted meats and ingredients like a sandwich. Let’s just say the pulled beef with guasacaca sauce is amazing. Of course, you can’t go on a food tour in Britain without eating something quintessentially British. The department store Fortnum & Mason in London may claim to have invented Scotch eggs in 1738, but The Free Press serves up Cambridge’s best. And if you’ve never tried a Scotch egg, it’s a delicious little indulgence that consists of a hard boiled egg wrapped in sausage meat, coated with bread crumbs and then deep fried. Definitely not something you want to eat all the time since they’re quite rich and like a calorie bomb, but a perfect pub or picnic food that we hadn’t enjoyed since eating our way around Bristol. Like most restaurants we tend to recommend, The Free Press changes their Scotch egg offerings seasonally to offer only the freshest ingredients. We tried their staple black pudding and their new seasonal apple and stilton. We washed it down with our choice of a half pint of beer from the bar, while admiring the local photos and newspaper articles that adorn the walls of the historic back street pub. The Free Press is another institution that has been a part of Cambridge’s pub scene for more than 100 years. Named for a newspaper that lasted just one edition, the pub’s entryway is a historically listed building of Cambridge. There were also stops for cheese, fudge, desserts and tea. And aside from the full bellies, Cambridge Food Tour is a wonderful way to discover little corners of the city you probably wouldn’t have stumbled upon on your own. Cambridge Food Tour has various tours and events 6 days each week. Check their calendar for their tour offerings. Wine is almost always our first choice, but we like to drink the local drink. And while Britain does have wine producing vineyards, Britain isn’t exactly known for their wines. Ciders, craft beers and spirits are where its at when it comes to drinking the local drink in England. Our new fondness for gin is a really recent one. An excellent gin and tonic welcome cocktail we received while checking in at the G&V Royal Mile in Edinburgh was love at first sip. But truth be told, we knew nothing about gin. Inspired by the beautiful college campuses of the University of Cambridge, I signed us up for a class…a gin masterclass at Cambridge Gin Lab! Any class that begins with a gin and tonic is my kind of school. With those G&Ts in hand, we sat down to get a lesson in the history of gin and how it’s distilled. The first confirmed production of gin was actually in Holland in the 17th century. Make no mistake, though; there was nothing botanical-based or sophisticated about the gin of the 17th century. It was made as a medicine and sold in pharmacies to treat stomach issues. The juniper, which is the one thing that makes gin a gin, was added just to make it palatable enough to stomach. Plus, juniper had medicinal properties of its own. The Dutch discovered that distilling the grains with the juniper berries produced something fun to drink, and it warmed you right up on those long, cold and damp nights. It still didn’t remotely resemble today’s gins, but the British soldiers started drinking it during the Thirty Year’s War and then brought it home with them. About the same time, the French brandy that had once flowed in British pubs became unpatriotic to drink because of England’s long history of war with France. Food prices also dropped , giving the working classes more disposable income to spend on booze. 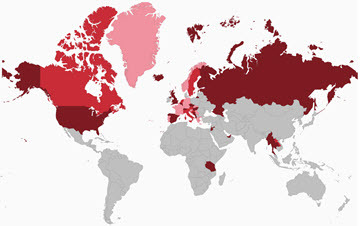 About 60% alcohol, Brits suddenly had an unquenchable thirst for gin. The early part of the 18th century was known as the Gin Craze. Londoners were distilling 10 million gallons of the stuff each year and there were an estimated 7000 gin shops by 1730. Londoners had become a bunch of degenerate drunks. Gin was just a low-down no-good evil spirit. English artist William Hogarth issued a set of two prints in 1751 known as Beer Road and Gin Lane. Meant to be viewed together, these artworks depicted the monstrosities gin turned people in to as a contrast to the merits of drinking beer. Shortly after the Gin Act of 1751 was introduced to reduce the consumption of gin and regulate both the distillation process and sale of it. The nefarious history of gin gives you a lot to think about. Thankfully the Gin Act of 1751 eventually did quash the Gin Craze. And today it’s a quality controlled spirit that’s fashionable to drink again. Of course, all that history comes with a lesson on how to taste gin. It’s a lot like tasting wine. You look at the appearance, smell it (adding about a 1/3 parts water to the gin actually intensifies the botanicals), taste it and feel the finish. And you need gins to practice your newly acquired gin tasting skills. The gin masterclass includes three gins distilled by Cambridge Gin Lab themselves: their Cambridge Dry Gin, a specialty gin like the Japanese gin that they crafted for Nobu and then turned in to a retail product they sell, and their seasonal gin. Cambridge Gin Lab makes their seasonal gin twice each year. It’s made in very small quantities and all the botanticals come from withing walking distance. There’s a shop where you can purchase gins and a small bar upstairs where you can have a drink once class lets out. They definitely have some unique gins if you’re up for trying them out, like the Anty Gin distilled from foraged ants and created for Noma. Or a more tame sounding option is the P Gin with garden pea botanticals that was created for The Pint Shop. Cambridge Gin Lab Gin Masterclass is offered Thursdays at 7pm and Saturdays and Sundays at 12pm and 3pm. Between the food tour and the gin masterclass, it’s probably hard to imagine consuming anything else. A little lighter fare is definitely in order for dinner. Contrary to what the name Bread & Meat might imply, this little independent cafe is the perfect spot for a lighter dinner. Bread & Meat specializes in roast meats sandwiches and craft beers, though you can get all but their Philly cheese steak sandwich as a “bowl” sans bread. You can’t go wrong with either the honey soy chicken with sriracha mayo, which is their best seller, or the porchetta. Simon, the owner, can often be seen greeting and serving customers himself. He explained how his chicken is marinated overnight then roasted fresh each morning. The porchetta is slow roasted for 18 hours overnight and practically melts in your mouth. Our favorite? The honey soy chicken. And a sandwich with a side of potato wedges is the perfect amount to share after a foodie filled day touring Cambridge. Bread & Meat, 4 Bene’t Street. Look up any list of the top things to do in Cambridge and you’re sure to find punting on that list. But what the heck is punting? It’s simple really. A punt is a type of flat-bottom boat, punting is being in that boat and a punter is the person propelling the punt with a long pole. Like some of the historic pubs and bakeries we’ve mentioned, punting has been a part of Cambridge for well over 100 years. It was Cambridge native Maurice “Jack” Scudamore that was involved in building the first punt in Cambridge. In 1903, he opened Scudamore’s Boatyard where he built and rented punts. The square-ended flat bottom boats were incredibly well suited to the shallow waters of the River Cam and by 1920, punting had become the most popular boating activity in Cambridge. Punts were just as loved by locals and university students as Fitzbillies’ Chelsea Buns. All the punters hate this bridge. Can you guess why? Today Scudamore’s Punting Company is the largest punting company in Cambridge and they offer two routes, plus punting lessons. Punters are often University of Cambridge students and they regale you with stories and insider knowledge all about Cambridge and its 31 colleges. Tim and I happened to schedule our private College Backs tour the day before the Beast from the East storm hit England. He grumbled that we were about to freeze our asses off on the river for an hour. But Scudamore’s was well prepared to make us comfortable even on one of the coldest days. We were handed hot water bottles to keep warm with while our punter cleared off the ice from the punt. And a pile of blankets kept out the cold as we gently made our way down the River Cam past Cambridge’s most iconic sites like the Bridge of Sighs and King’s College Chapel. Like gin, we knew nothing about the University of Cambridge before our punting tour. The third oldest surviving university in the world, the University of Cambridge is made up of 31 colleges. Founded in 1209, the architecture of the colleges spans many centuries and our guide pointed out some of the unique features. We also learned about some of Cambridge’s most famous alumni and residents, like Sir Isaac Newton, Charles Darwin, David Attenborough and Stephen Hawking. Speaking of Sir Isaac Newton, we were told of the fable that it was the famous physicist that designed the Mathematical Bridge and built it without the use of nuts or bolts. Supposedly students decided to take it apart and put it back together again, but weren’t able to work out how exactly it held together. Clearly, as you pass beneath, you’ll see that the bridge does in fact have nuts and bolts. This, as the story goes, is a result of the students having to resort to adding the nuts and bolts just to reassemble the bridge. In reality, the bridge wasn’t ever designed by Sir Isaac Newton. It does have an incredibly complex structure though, which was designed by William Etheridge and built by James Essex in 1749. It always had nuts and bolts, but a surprising fact is that the bridge is made entirely of straight pieces of timber. Of course, you’ll pass under the Bridge of Sighs. It’s one of Cambridge’s main tourist attractions and named after the Bridge of Sighs in Venice. But the two bridges actually have little architecturally in common. What they do have in common, though, is where the name comes from. In Venice, the bridge was named because of the sighs of the criminals passing from the court to the dungeon. And in Cambridge, it’s the students sighing as they pass from their dorm rooms to the courts where their exams are held. We learned a heap of other interesting things about Cambridge along the way like how many Nobel Prize winners have come from Cambridge (90, by the way – and more than from any other institution in the world), saw the water line reminders of some of the city’s historical floods and about the impressive architecture. A tour Tim grumbled a bit about even going on because of the cold turned out to be a really enjoyable way to start the day. Scudamore’s College Backs tour is available every day but Christmas, weather permitting. We recommend the private tour. There’s been a market trading on the Market Square since the Middle Ages. No matter rain or shine, the spots for Cambridge Market Square are coveted and there’s anywhere from 30- 40 stalls selling food, cheese, produce, books, crafts and more 7 days a week from 10am – 4pm. Lancashire Tasty Bombs are a delicious cheese and fun to bring home on the airplane! The stalls change up and not every stall is on the Market Square every day of the week, and this guide is an excellent resource for which stalls are on the market each day and precisely where they’re located. A few of our favorite stalls are The Earth’s Crust (he makes amazing sourdough bread), Brockleby’s pies, Arepa’s Station for Venezuelan arepas, the cheese stall and Bisbrooke Ostrich Farm for their ostrich burger. There’s loads of street food stalls with everything from dim sum to falafel. You can easily make a multi-course international lunch with food from the Market Square, and even take some to go for the train ride back to London. Cambridge is located about 50 miles from London and can be easily reached by direct train. Book your train ticket online. Hotel du Vin is a lovely boutique chain we’ve come to love in Britain. The wine-themed luxury boutique hotels are always located in historic buildings and the hotel incorporates the unique historic character into their designs. In Cambridge, Hotel du Vin is houses in a formed University owned historic building and has 41 rooms. 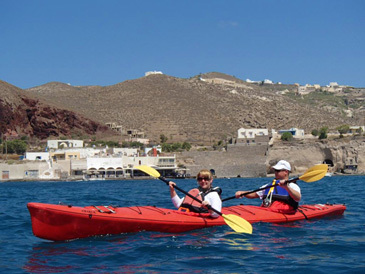 The location is excellent and just a few minutes walk from the historic center. Each room and suite is uniquely designed. Some of our activities in Cambridge were in partnership with Scudamore’s Punting and Cambridge Food Tour in order to bring you this story. However, Luxe Adventure Traveler maintains full editorial control of the content published on this site. As always, all thoughts, opinions, and enthusiasm for travel are entirely our own. This article contains affiliate links. When you book on Booking.com through our affiliate site, we earn a small commission at no additional cost to you. I live down the road from Cambridge and have to admit, I was there for a couple of hours and I didnt enjoy it. I found it too touristy and too many students getting drunk on a friday night in the bars. However I do love cycling around the city, anything to do with the outdoors I like. Have to admit, havent been there in years so looks like I need to revisit and see if I can love the place again. I think obviously in a major university town, you’re going to have students partying on the weekend. It’s what I did at university too. But we haven’t noticed tons of tourists. Granted, Tim only moved there last July and we’ve mainly been exploring over the Fall and Winter months. Maybe revisit to see how Cambridge has evolved since you were last there. I love Cambridge – I come from about 50 miles further East on the North Norfolk Coast and I used to travel to Cambridge weekly for my piano lessons. Anyone who likes ecclesiastical music should know that some of the colleges have a very strong musical tradition – you can hear sung evensong in Kings College Chapel free of charge almost every day. It’s very special and I highly recommend it. FitzBillies is a wonderful story isn’t it. I’m pretty sure the owner’s husband is a well-known food journalist too. We’ve been exploring Norfolk (and Suffolk) while Tim is living there! Thanks for sharing the tip about the concerts. Being from the UK we frequently travel around our own country but we’re sorry to say we still haven’t been to Cambridge. King’s College Chapel does look incredible and I wouldn’t mind having a go at punting in the summer although I feel it could end in disaster. Haha! You never know until you try. I felt that way when I took gondola rowing lessons while we were living in Venice but it turned out to be an awesome experience. I love visiting old universities – have been to Oxford twice but not to Cambridge yet. Looks equally gorgeous. And love the Stories of what was created in pubs! We haven’t been to Oxford yet, but we hear that Cambridge has a lot more to do than Oxford. You’ll have to check out Cambridge and let us know! They definitely love their food in Cambridge! But at least you can work off all the delicious eats with a punting lesson. You have put together such a great list on things to do. 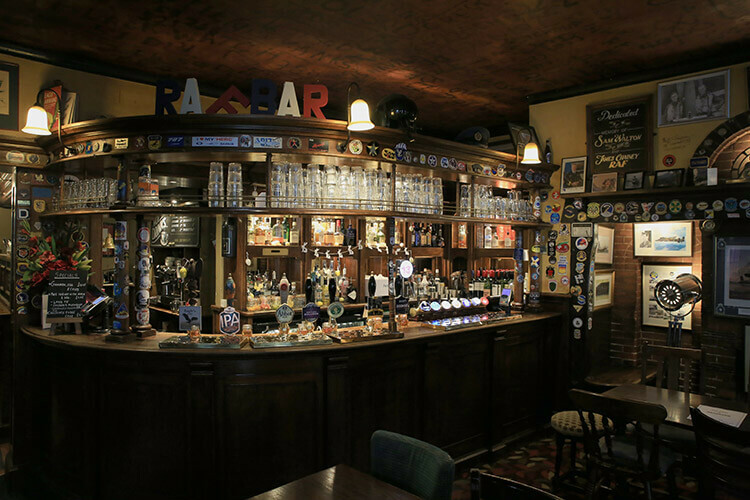 I would love to sit at the RAF Bar and soak in all the history. And the King’s College. My god, you are lucky to see the gorgeous interiors. I have made a mental note to go there someday just for that stunning ceiling. Your suggestion on the food tour sounds cool, and so do the other local restaurants to try. Thanks for sharing. The entry fee to King’s College Chapel is a little on the steep side, but it is an incredible building. And we love anything with ties to both France and England since that is totally our situation right now! It drives me crazy when people think that the only thing to do in England is visit London – so thank you for this! 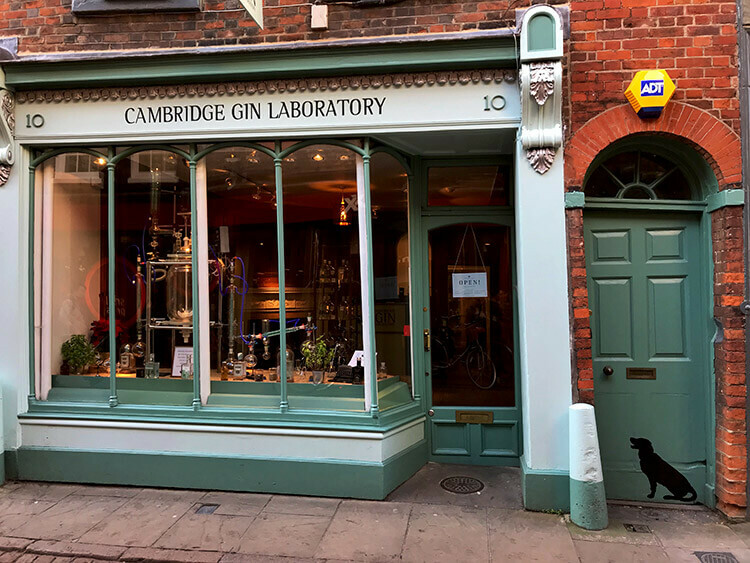 Cambridge is a beautiful city, and now I know they have a gin lab I need to go back! And take a boat trip on the Cam of course! Totally feel the same about France! Hello, there is way more to France than Paris. Tim has been living in Cambridge for about 8 months now and we’ve been enjoying getting to know the city, as well as the area nearby in Suffolk and Norfolk. And it’s so unbelievably close to London, yet so many people miss out. I can’t believe I lived in London and never visited Cambridge – shame on me! I always wanted to go Punting, and Sudamore’s Punting sounds like it gave you a fantastic value-add experience – especially with all those great tales! I want to visit King’s College – I didn’t realise how many Henry’s were involved, from Henry VI to Henry VIII – what a legacy! You tried so many of my favourite foods on your Cambridge excursion – and the gin, well, I’d make a bee-line for that! Exploring Cambridge is like going back in time. It is so historic so beautiful. Love your photos and description. The King’s College Chapel is so grand. I could spend a full day just looking at it. And, Gin lab is a great reason to go. Too bad I never visited this place.